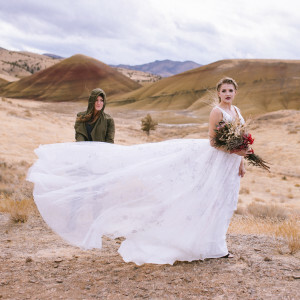 We love partnering with local vendors to create beautiful images! 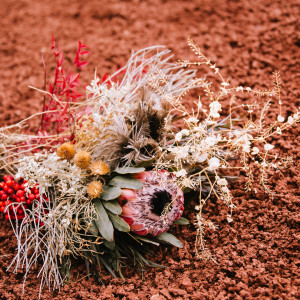 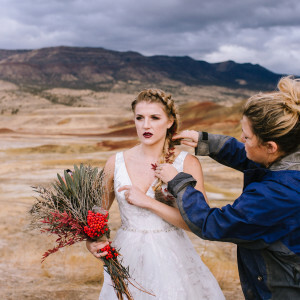 Here is a sneak peek at what happens behind the scenes of a styled shoot. 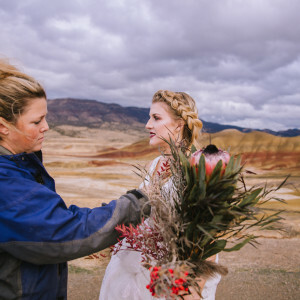 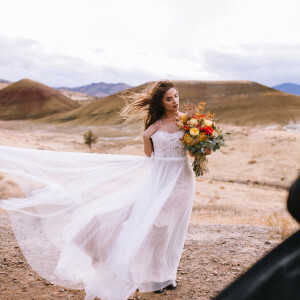 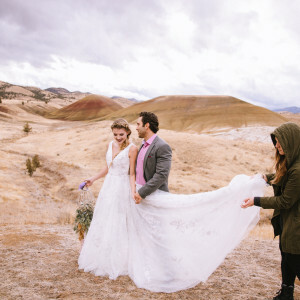 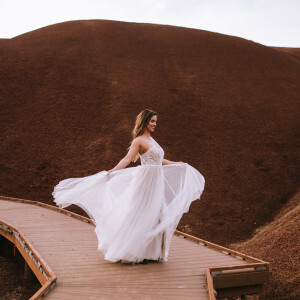 Sarah Lynn Photography borrowed three dresses from our Portland boutique and we used the beautiful Painted Hills of Oregon as a back drop, featuring beautiful floral arrangements by Flowers by Rose!